A mother of four living in Ohio was deported to Mexico after a traffic stop revealed she entered the country illegally from Mexico nearly 20 years ago. Beatriz Morelos Casillas, 37, was arrested for driving without a license near Cleveland, Ohio, CBS News reported. She was deported to Nuevo Laredo, one of the most dangerous places in Mexico and where the State Department issued a travel warning in December 2016 due to violent crime. Beatriz’s husband – who is here legally on a work visa – drove from Ohio to be with her and make sure she’s safe. 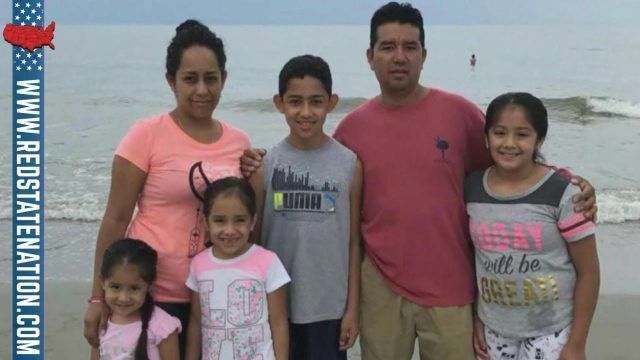 Her relatives in Ohio called her deportation unfair and worry about the uncertain future ahead for Beatriz and her family, reports CBS News’ Tony Dokoupil. “She’s scared, I believe she’s more scared for her children than for her right now,” said Christian Enrique Gutierrez Morelos. Morelos and his wife, Sonia, are aching over the quick deportation of their Aunt Beatriz. Beatriz was heading home from work when she was pulled over and arrested. Within 10 days, she was in Mexico. “What happened to Beatriz was the direct result of the new administration and the policies that have been given to ICE,” said Elizabeth Ford, an immigration attorney working on Beatriz’s behalf. “People with no criminal history are being told they have to leave the country in a very short amount of time when they’ve built an entire life here with children and houses and families and jobs,” Ford said. “ICE prioritizes arrests based on criminal threats, national security, those who violate immigration laws,” said Thomas Homan, acting ICE director. No criminal history? She’s been living here illegally for 20 years and obviously driving around town without insurance or a drivers license too. Those kids are brainwashed. They should be devastated because of the reckless position she put her kids in, not because she was deported. Thank you!!! Finally, someone I agree with!! I agree. She’s been in this country illegally for 20 years. No license, no insurance, probably doesn’t pay taxes, so yes, the laws of illegal immigrants pertains to her. It’s her own fault for what she has done to her family. I live in the San Diego area and my question is I wonder if she even speaks English? There’s an overflow of illegal criminal aliens in this area, plus a large legal Mexican population and I swear they never speak our language! Schools and Churches have their large signs out front in Spanish! This is the new norm, where we learn the immigrants language and acquiesce to their every need. I have no empathy anymore! I agree. She should have become a US citazen and gotten a drivers license. She should be gone. It’s sad but it is the law! the situation was NOT as a result of the new administration, it was as a result of her not applying for citizenship. She is responsible, not the U.S.government! What this person said is truth. The laws have been on the books for many, many years, even before she came here illegally. They just weren’t being enforced. Sorry, 20 years is a looong opportunity to do the right thing, now it’s time to bear the consequences of her actions, and lack of actions to legalize herself. It doesn’t matter how long they’re in the country…what matters is this leech always had the intention to sponge off American society without ever assimilating so it doesn’t matter how many years they’ve been here.. The Democratic Party and for the last eight years Barack Obama, has afforded these “Illegal’s” sanctuary from immigration as well as the rule of law while remaining a citizen of their native country. Foreign nations look upon America as the Free Welfare nation of the world. 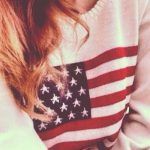 Go to America and live the good dream. They’ll give you money, free food, health care and housing as well as education for your children and you don’t even have to give up your native citizenship, now tell me who wouldn’t come here? You can do anything in America and if caught, the only thing they’ll do is deport you back to your homeland until you can afford to hire a coyote to bring back across the border, then you can begin to live again. If you’re caught here illegally, and you are deported, than you should be banned for life never to return. If you do…you will be automatically incarcerated and imprisoned for nothing less than Twenty five years without parole. Upon being released from prison, you’d be escorted to the border and physically returned to your native country. Entering the country a third time, you’re to be shot without prejudice and your body returned to your native homeland and your family billed for everything from the bullet used to execute you…to everything in between upon returning your body. In this age of political correctness, people fear being labeled prejudice or racist …even though everyone is treated the same as every other American. This political correctness is creating situations that should never be acceptable in the first place. I support the law and for twenty years our tax $$ pay for her and her whole family lifestyle..she also violated the law, DUI no license….give me a break. I worked hard to support my family..no one helping me…no merci!! She should have got her citizenship after she came to America. Should have done things legal than she wouldn’t have to worry. This isn’t new administration fault it’s hers. Thank Goodness they are doing something about it. Just think America might save money. She should have settled her status in this country years ago before having kids. Now the kids have to pay the price as well. She’s had 20yrs to become a citizen. No excuses. I’m not saying they are all bad and yes I feel for the kids who were brought here and know no other country. With that said, what gets me is the ones who enter college or work had to have some kind of paperwork. Anyone who has ever had a job completed an I-9 form. Schools had to have your information to attend- so was everyone turning a blind eye or not following the law? Then there are the immigrants – why didn’t they march themselves down to an immigration office and start filling out paperwork? They could have found a job or gone to school and applied for a visa. Then they would have been here legally while their paperwork was processed? After 20 years, she certainly knew she was illegal. She should have applied for citizenship when she got into this great country. It’s her own fault or her parents fault that she didn’t. My buddy spent a lot of money and time fixing up a car for his daughter for her first car. She was driving it around one day and stopped at a red light. She was rear ended by a illegal and his car died. After finally get his car started he tryed to take off but the cars were hooked together and he just kept jerking them around until they came loose. Mean while her dad showed up and so did a cop. Found out he was illegal and the cop told my buddy sorry there is nothing that he could do. That illegal screwed up the car that my buddy spent so much time and money fixing up for his daughter and he was just able to get away for free as he had no licence, insurance expired tags and the car was not in his name. My buddy speaking a little Spanish grabbed that illegal by his throat and told him to give him all his money in Spanish. The illegal did so and the cop jumped my buddy for assault. Funny the illegal committed assult with a vehical that could have caused serious bodily harm or death to my buddies daughter and told he was free to go on his way but my buddy that grabbed the illegal not to hurt him but to get some money from his was almost arrested and taken to jail. I have no sympathy for illegals who have been here for many years and who never got a visa or citizenship and who knowingly breaks the law by driving without a licence, registration and insurance and gets caught and deported. Come to the country Illegally, cheat the welfare system, and drive without licence. She needs to go. Period!! All those illegal immigrants need to be deported. Our tax payers money supost to help the Americans who need help, NOT th illegals. The welfare system was built by American people’s warm heart to help the Americans. It has been taken advantage by those illegal immigrants who now feel they are entitled. Thank you – our President Trump for working on to fix this rigged system. I support the law. Twenty years is plenty of time to seek legal citizenship. Her husband did. It seems she averaged one baby every five years that the government has been paying for, she has been driving illegally without a license or insurance. She deserved to be deported. I’m sorry for the children. The mother put them in this predicament. So I see 4 things she did as a criminal 1) she came here ILLEGALLY, 2) collected welfare, 3) driving without a license and 4) driving without insurance. I see no problem with sending her back, she could always move to another part of Mexico if it’s too dangerous where she is now. I am not a democrat so you know ahead of time my thought process. I am a law abiding citizen and believe the law is there for the protection of a US citi citizen. If someone enters Mexico with out a passport they are arrrsted and put in jail for violating Mexacos laws. Due to cheap labor and these people do vote for democrats, guess who is keeping the illegals alive. I really don’t care and get emotional for illegals if they have been here for 30 years. Send them back now. It’s NOT President’s Trump’s fault that he’s enforcing I got ” Law and Order”. She should of become “legal”. It’s not that hard to do it the right way. She stole money for 20 years from hard working tax payers getting welfare, driving with no license, no insurance. She should feel grateful that she had 20 years, because she should be put in prison for 10 years with hard labor to pay back our money. Then, should be deported back to Mexico. She put her children in jeopardy for 20 years driving with no insurance or license. No empathy here. This is one more that we don’t have to pay for and hundreds of thousands to go. Good riddance, Aunt Beatriz. Don’t do the crime if you can’t do the time. You are the reason why you’re called illegal. That’s ALL you’ve done here. Go break the law in Mexico and see where it gets you. She knew what she was doing and over the last 20 years she could have applied for citizenship, but that would mean she would have to pay taxes and wouldn’t be able to get free funds from our government. She gets what she deserves. Too bad for her. We gave laws just like other countries. It’s about tome someone has the guts to stand up and enforce our laws and take our country back from all those illiterate liberal goofballs! Deportation is the right and proper decision. Think about her driving around without a license and insurance. She had more than enough time to apply for citizenship or a work visa like her husband. But if you break the law, you pay the price to say nothing of any illegal funds she claimed. No mercy. The problem is that this woman has no regard for the The United States of America. No attempt to ve legal or act grateful. How is dhe working? Under ejo’ s name? 20 years! 4 kids! And, the son has a spsnudh accent!!!!! This Lawyer said that this lady, who immigrated illegally, received welfare illegally & drove illegally, had no criminal record. Of course she had no criminal record – she hadn’t been caught until now. If you practise illegal acts and are not caught, you will have no criminal record! That does not mean you are innocent! What don’t you people not understand. Illegal is illegal. She and others need to be sent back to Mexico. I hope we send all the illegals back to where they came from. If you want to come to live, you must do so legally and then continue to carry out you day to day business legally without breaking any laws. Nothing more is expected from immigrants than from regular citizens. If you don’t come here legally, then you should be prepared to suffer the consequences just like any other criminal breaking our laws.